Prishtina, March 18, 2019 – Free trade with European Union member states, encompassed through the Stabilization and Association Agreement, has led to a favorable climate of doing business in general and has exposed Kosovo to a large market. This was during the Breakfast for Executives organized by the American Chamber of Commerce in Kosovo with Nataliya Apostolova, Head of the EU Office in Kosovo and EU Special Representative, and AmCham Board of Governors, patron members, and the Chairpersons of the AmCham Manufacturing, Trade, and Technology and Innovation Committees, hosted by Emerald Hotel. The AmCham members also spoke about difficulties in finding potential business partners, enhancing labor skills, and developing innovative business ideas. Ambassador Apostolova informed the participants about priorities of the EU in Kosovo, stressing the European Reform Agenda, efficient rule of law, public administration reform, and investments in the education sector as crucial in the economic development of Kosovo. She expressed gratitude towards AmCham for providing suggestions for the European Commission’s Annual Report. Ambassador Apostolova also welcomed furthering of cooperation with the private sector in Kosovo. President of AmCham Board of Governors, Ilir Ibrahimi, said that AmCham has raised concerns on many issues regarding the private sector in Kosovo, inviting the EU office to develop stronger cooperation between business institutions while pursuing more sustainable economic growth in Kosovo. 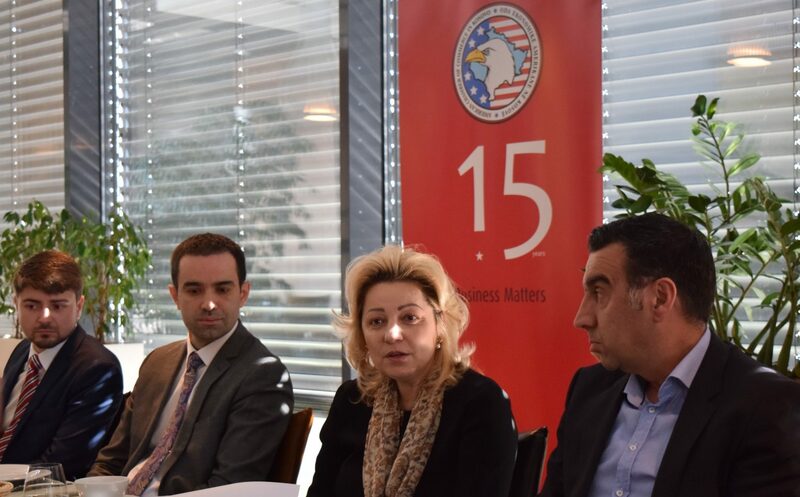 AmCham Executive Director, Arian Zeka, while mentioning the priorities of AmCham in advocating for economic issues, said that AmCham welcomes meetings in order to increase cooperation between the private sector and the EU in Kosovo since this is crucial for the development of businesses in Kosovo.